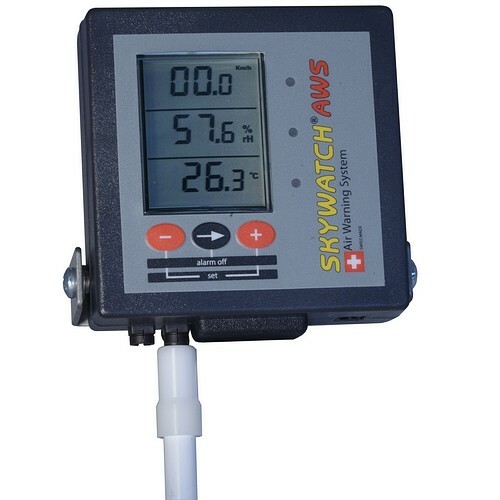 The Skywatch® Aero is a weather station dedicated to the study of the atmospheric conditions of a site. 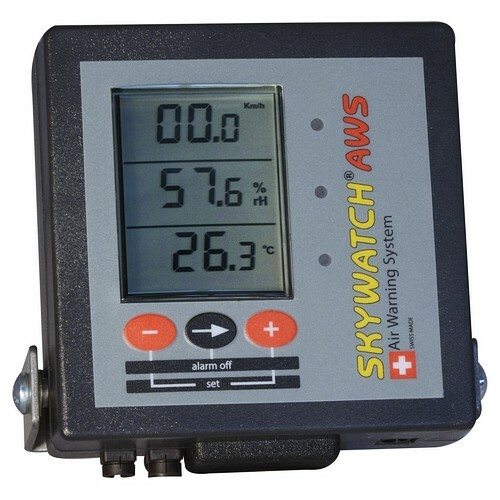 Equipped with 3 functions, the Skywatch® AWS measures, displays and visually and acoustically warns the user of temperature, humidity and wind speed. 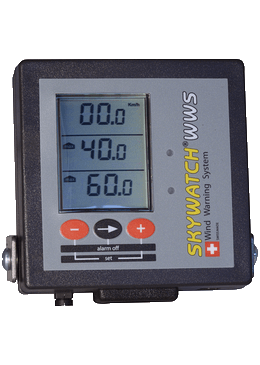 Skywatch® WWS has been developed for the protection of people and property which may be subject to strong winds. The Skywatch® N.E.W.S. 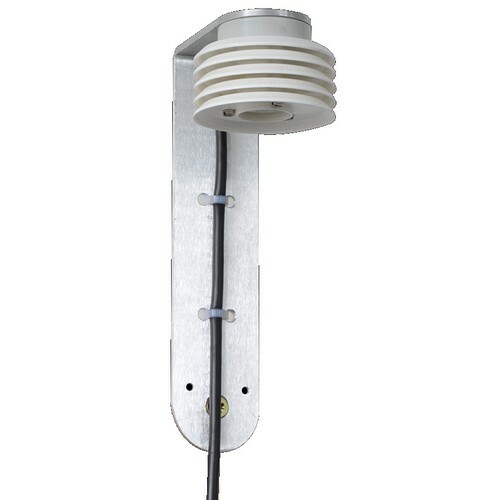 is a self-contained weather station dedicated to monitoring the atmospheric conditions of a site. 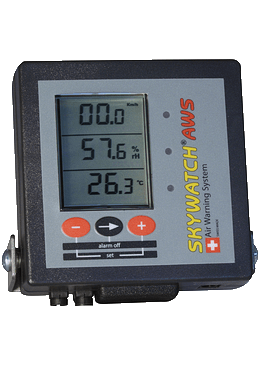 The Skywatch® Aero is a meteorological data logger station dedicated to the study of the atmospheric conditions of a site, allowing timestamped recordings of more than 600,000 measurements (20 months of battery life with measurement every 10 minutes by an Aero 6). 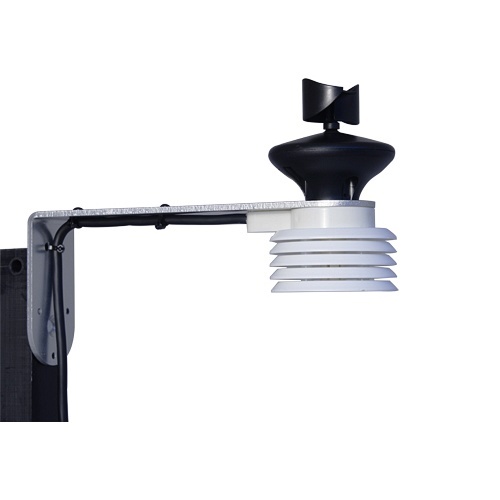 It is equipped with a meteorological transmitter which measures the wind, temperature and relative humidity, or even the barometric pressure (optional). 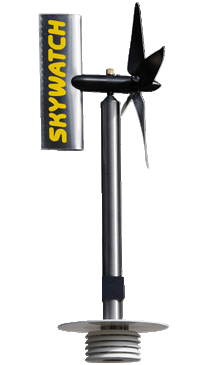 Powered by two LR6 batteries, the station can be easily installed in remote locations and in extreme conditions. 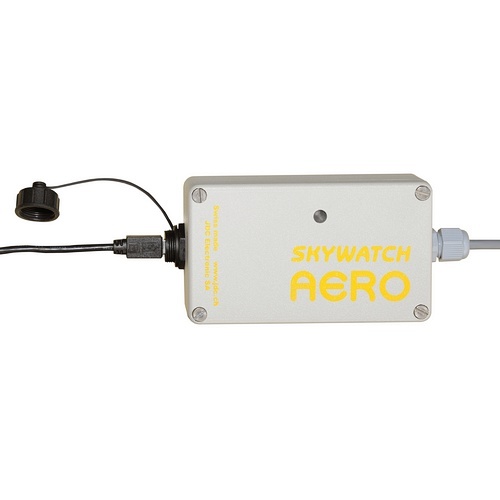 The SKYWATCH AEROlog software allows complete control of the station, including the reading and the export of the data, the programming of the intervals of measurements or the choice of the units of display. 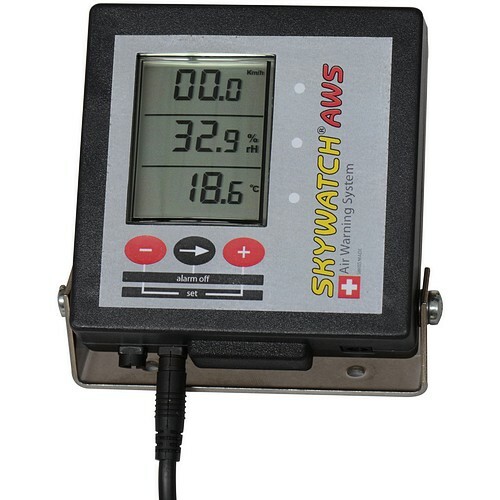 Real-time measurements as well as recorded data can be viewed graphically. 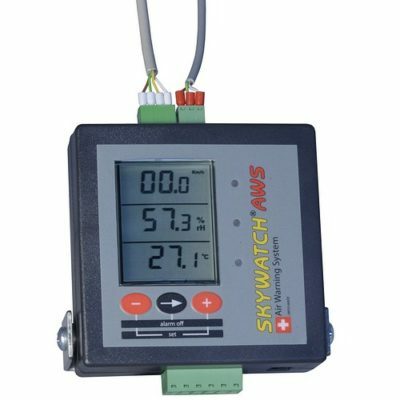 Equipped with 3 functions, the Skywatch® AWS measures, displays and visually and acoustically warns the user of temperature, humidity and wind speed. 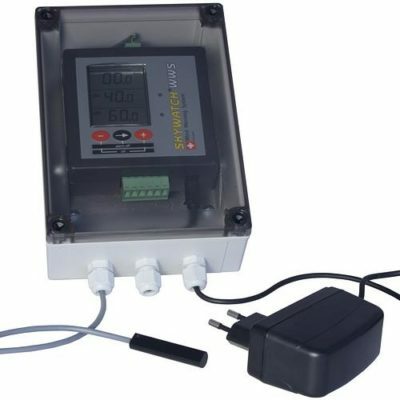 The minimum and maximum values ​​of temperature and humidity are individually adjustable. The wind speed can be measured on 2 levels. 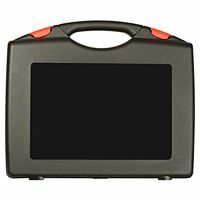 The display box, independent of the sensors, provides a wide variety of applications. If none of these kits are right for you, you can add or replace items. Note that a functional system must always include a box, a sensor and a turbine. 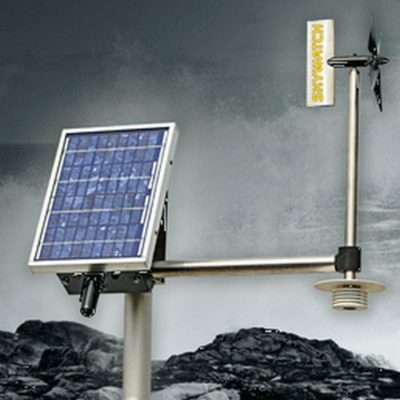 This instrument has been developed for the protection of people and property who or which may be subject to strong winds. A wind force display unit with 4 programmable alarm thresholds (2 min and 2 max). 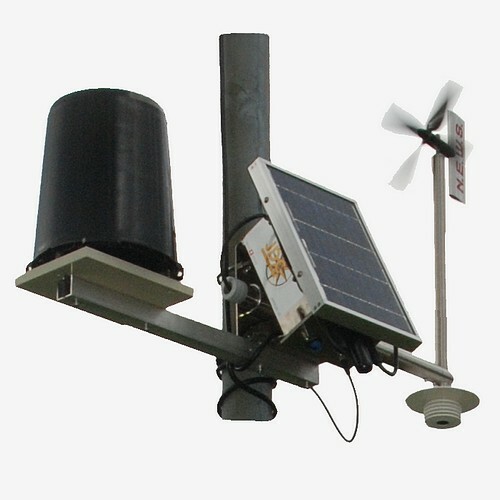 A multi-directional wind turbine (wind sensor) which measures the wind horizontally and vertically (turbulence behind the obstacle). 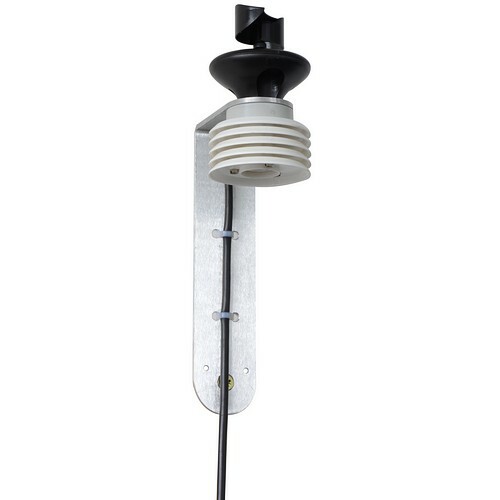 The turbine transmits its signal magnetically to a transducer (wind sensor) located at the end of the connecting cable connected to the display. This transmission system simplifies installation. 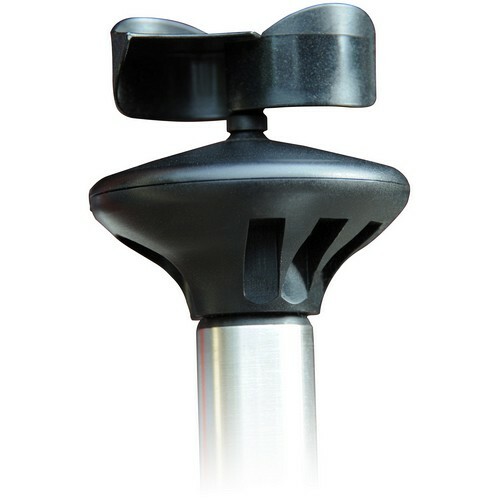 Building sites: scaffolding, cranes, etc. Public buildings: schools, sports fields, etc. Sports and leisure: campsites, mobile homes, marinas, aerodromes, lifts, sports competitions, etc. 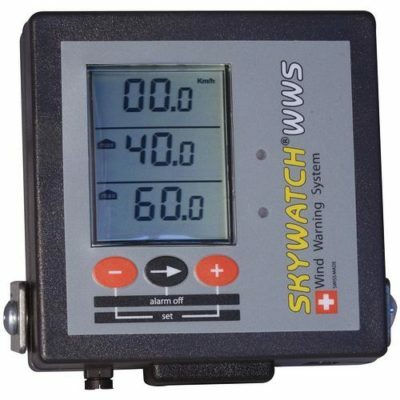 Four values ​​can trigger the alarm. These values ​​can be determined on the rising or falling edge and the alarm duration is adjustable for each alarm. 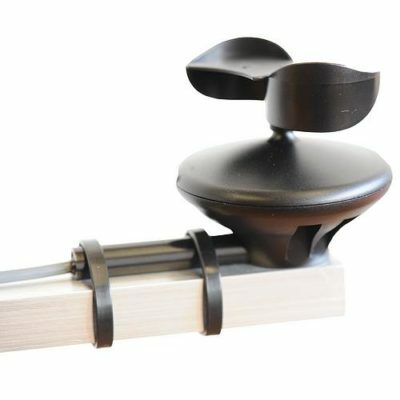 The relay outputs of kits 2 and 3 (described below) are four in number. The idle state of each relay can be selected between no (open) and nc (closed). The user can assign each alarm with its relay output. 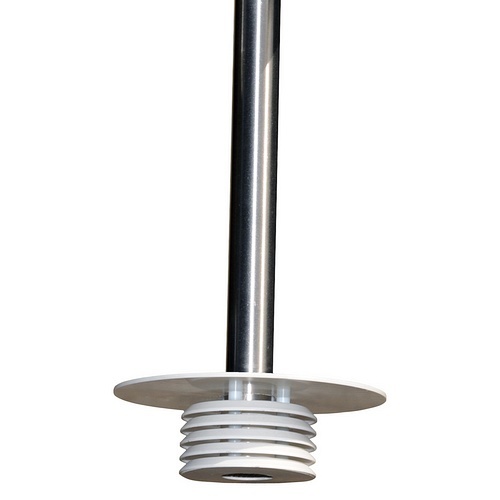 Cables up to 300 meters long are available on request. 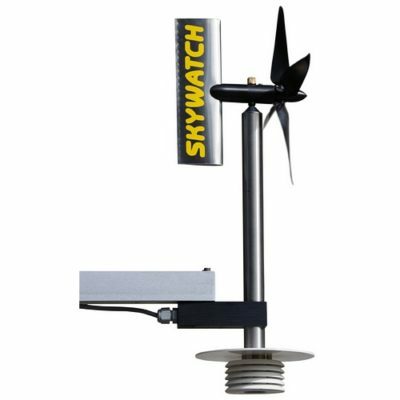 The Skywatch® NEWS is a self-contained weather station dedicated to monitoring the atmospheric conditions of a site, periodically and automatically publishing its measurements on the Internet thanks to its GPRS modem. 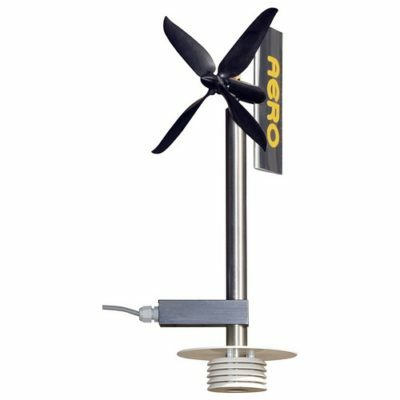 It is equipped with a meteorological transmitter which measures wind, temperature, relative humidity and barometric pressure (optional). 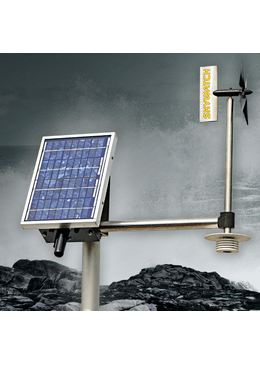 Powered by a small solar panel and a battery, the station can be easily installed in isolated sites and in extreme conditions. 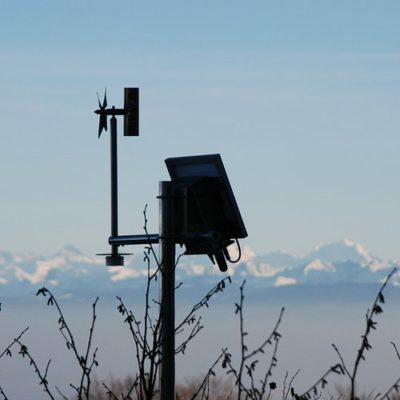 Finally, thanks to its GPRS modem, it automatically and periodically publishes its measurements on the meteo.jdc.ch website. 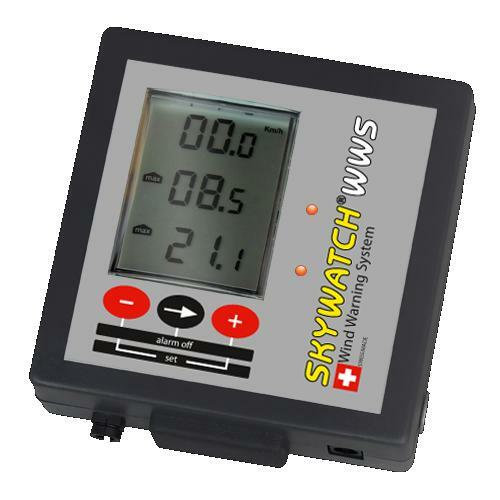 The Skywatch® NEWS station is equipped with a GPRS modem for data transmission over the mobile phone network. To use the latter, it is necessary to install an active SIM card, with or without subscription. The type of mobile phone subscription linked to this SIM card must allow the transmission of data via GPRS. Options with volume of data can sometimes be interesting. For your information, transmission of data varies between 5ko and 30ko according to the sending interval. 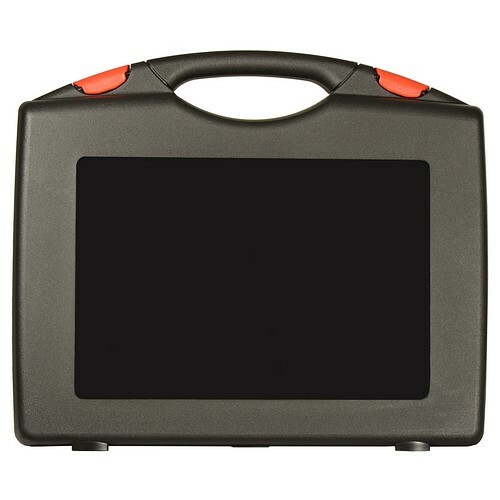 Please note that the SIM card must be configured without PIN code protection before inserting it into the device. This can be done on a conventional mobile phone.